You need to celebrate everything that you’re proud of, right? So we were very proud of being a vegetarians for a week. 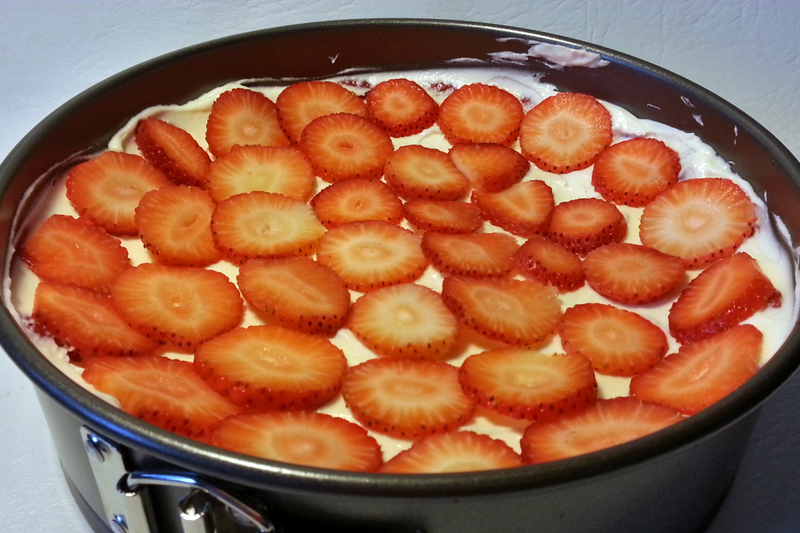 So, I made a mascarpone cheesecake with strawberries! 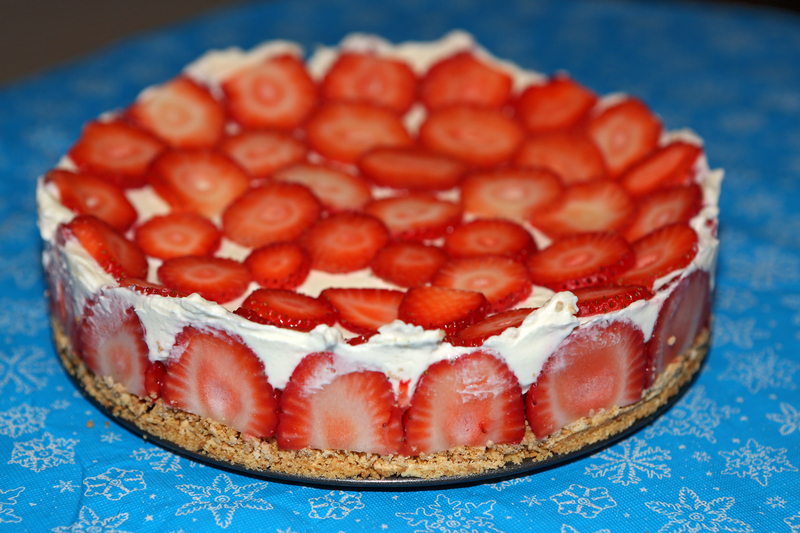 This is a no bake cake! Easy. Took me about half an hour at a normal pace. 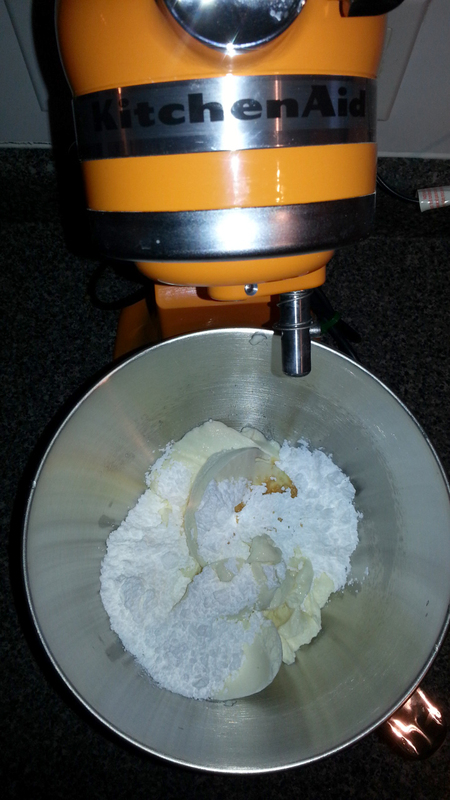 Crush the biscuits into crumbs, easiest and fastest would be with your food processor. Or you can put it in a Ziploc bag and crush them with your rolling pin. In the mean time, melt the butter in the microwave. Put your crushed cookies in a bowl and mix in the butter. until thoroughly combined. 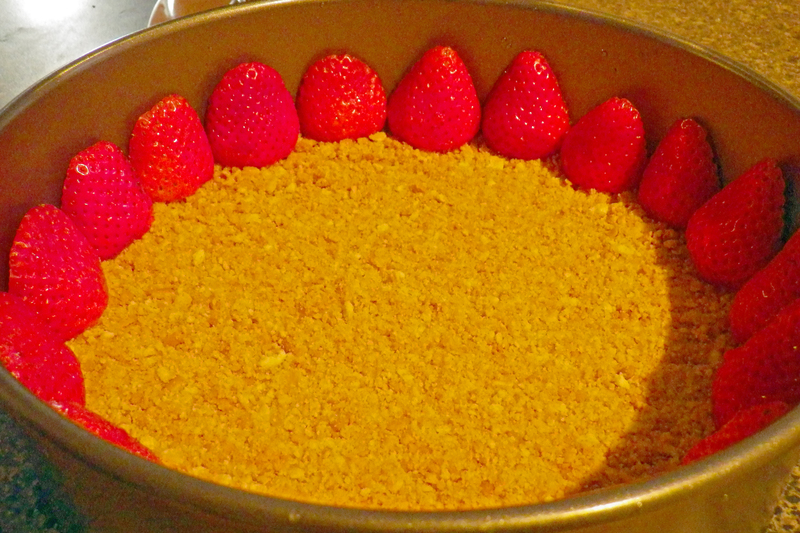 Then press the buttery crumbs into Springform Cake Tin. 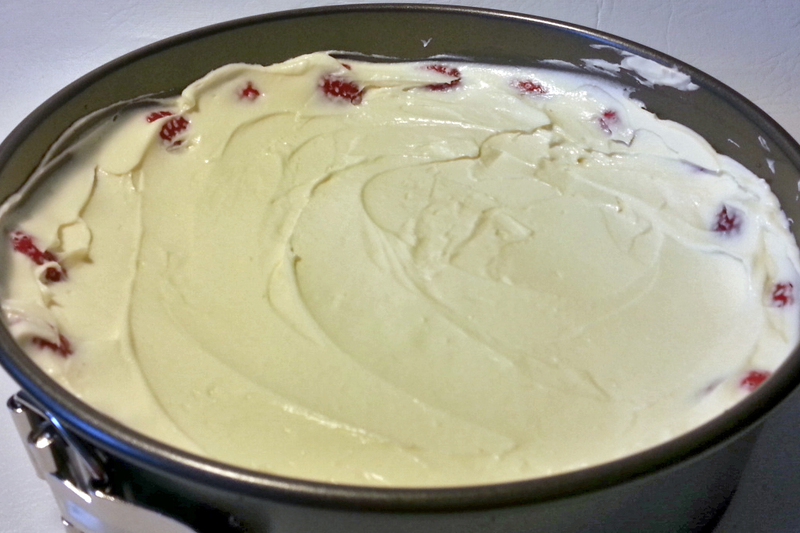 Now combine cream cheese and mascarpone (easiest with the electric mixer), blend till fluffy, add sugar and vanilla. Mixture should be nice and fluffy. And yummy 🙂 I couldn´t stop myself, I just kept “tasting” it 🙂 Now wash 400 g of strawberries and cut half of them into halves and half circles. 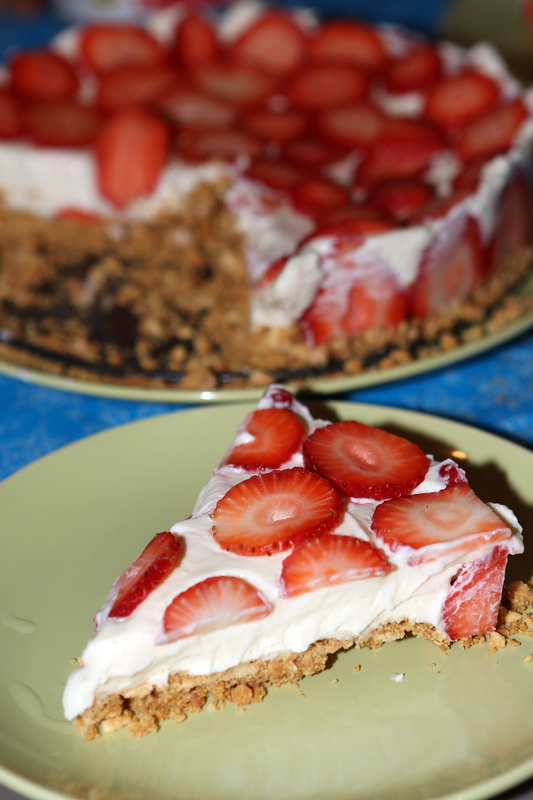 Line the cake edges with strawberry halves and then fill it with the cream cheese mixture. Top with strawberries! Put the cake into the fridge for at least 4 hours. It was torture for me to wait but we did exactly 4 hours, I couldn’t wait any longer 🙂 When ready, release the catch of the tin carefully, then slice and serve! Looks nice and tastes great! Thank you! It was. I wanna try to make your lemon pie! I love anything lemon!